In Macaos Enterprise there are prices from several different PCB plants. Therefore, we recommend you to try to obtain prices from a range of numbers of cards and terms for delivery in order to get a collected pricing. 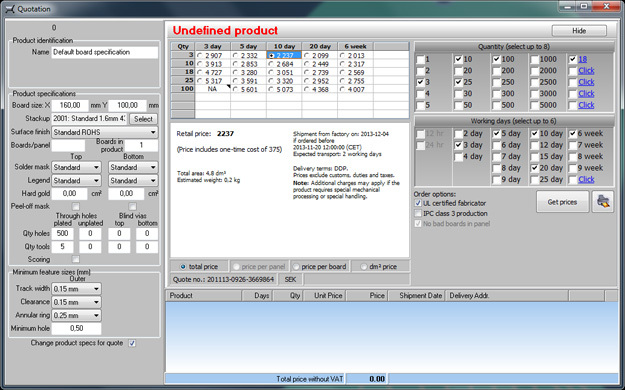 clear ordering, there is a connection between factory/initial cost and the ordered PCB in Macaos Enterprice. Please observe that a new initial cost may come up if you switch between different price suggestions (pricings). Some of the pricings do not give an initial cost.